Question 2: Name the line given in all possible (twelve) ways, choosing only two letters at a time from the four given. 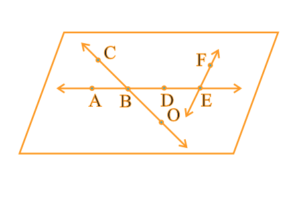 (a) Line containing point E.
(b) Line passing through A. (c) Line on which O lies. (d) Two pairs of intersecting lines. Answer 4: (a) Infinite number of lines can pass through one given point. 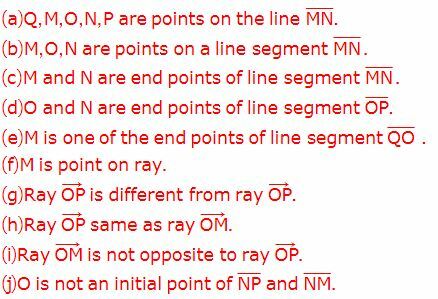 (b) Only one line can pass through two given points.